The second annual National Native American Ten Minute Play Festival gets underway Wednesday at Gremlin Theatre in St. Paul. The festival features new short works by and about Native Americans, and is becoming an important vehicle for developing Native voices. Rhiana Yazzie, the founder and artistic director of New Native Theatre, remembers watching the "Mary Tyler Moore" show as a kid growing up in Albuquerque, N.M. She paid particular attention because the show took place in Minneapolis. "Minneapolis is like a mecca for Native politics, arts, writing, culture," she said. 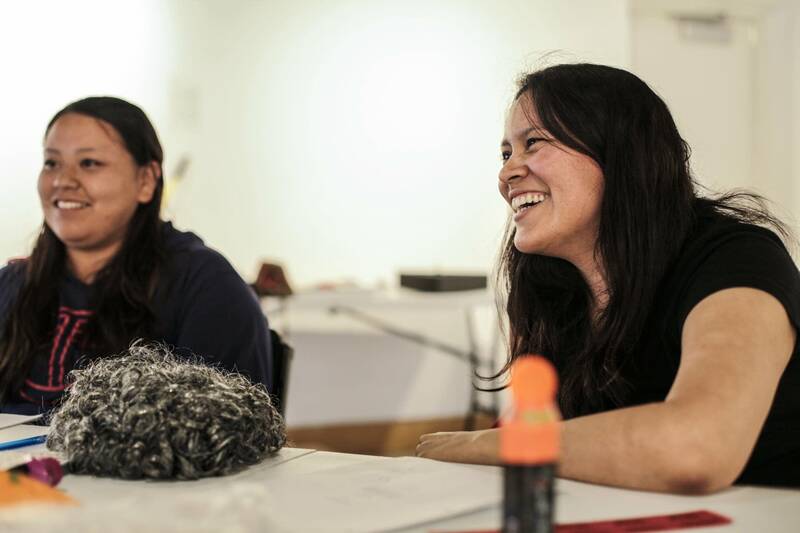 Years later, Yazzie moved to Minneapolis for a fellowship through the Playwrights' Center. Theater is another thing Minneapolis is known for. "And when I came here I was surprised that there was not an adult Native theater in there, with Penumbra and Mu and all these other places," she said. "I was so surprised." Yazzie created the New Native Theatre, and started scouting for local talent. She recruited Andrea Fairbanks after seeing her perform karaoke at a local coffee shop. Fairbanks is acting in this year's festival, and she also wrote one of the plays. "Honestly, before Rhiana Yazzie moved into town, before I met her, I didn't know of any Native theater work going on," Fairbanks said. "I didn't know any actors, I never knew of it even being a possibility for me to act or to write anything or for this festival to ever happen. I would never have imagined anything like this." 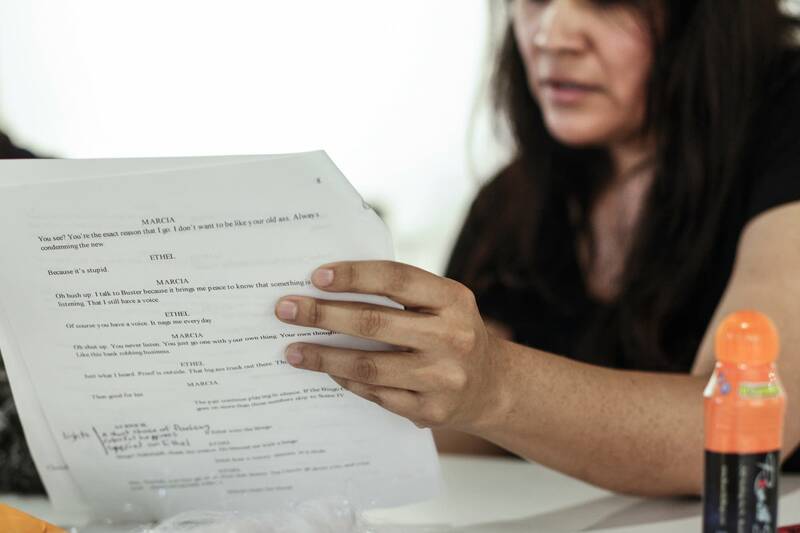 The 10-minute play festival features 15 different plays submitted from across the country and Canada. The stories feature Navajo, Dakota and Anishinabek living their everyday lives, something Yazzie says is rarely depicted on stage. "I unfortunately have to keep explaining everything New Native does by using the word 'contemporary,' because of all of the old stereotypes that basically only see Native people in the past," she said. Vanessa Goodthunder, who plays a mean old bingo fiend in one of the festival's plays, said that until she worked with New Native, she'd never seen a play with Native humor in it. "Actually being able to tell those jokes and get my rezzie accent on is really exciting," she said. "And in this play I get to speak my language, and so I think it's just really awesome — it's an opportunity I never thought I would have." The significance of Yazzie's work is not lost on Sarah Bellamy, artistic director of Penumbra Theatre in St. Paul. Her company is dedicated to lifting up African-American voices and experiences. "The fact that she's dedicating resources 365 days of the year to developing Native voices for the stage is really important, because while other companies may do it here and there for one season, or for one play in a season, or one initiative, Rhiana is dedicated to that community every day," she said. That commitment is paying off. Rhiana Yazzie said she expects a good turnout for this year's festival, in part because, aside from powwows, there are few places for Native Americans to come together and celebrate their culture. 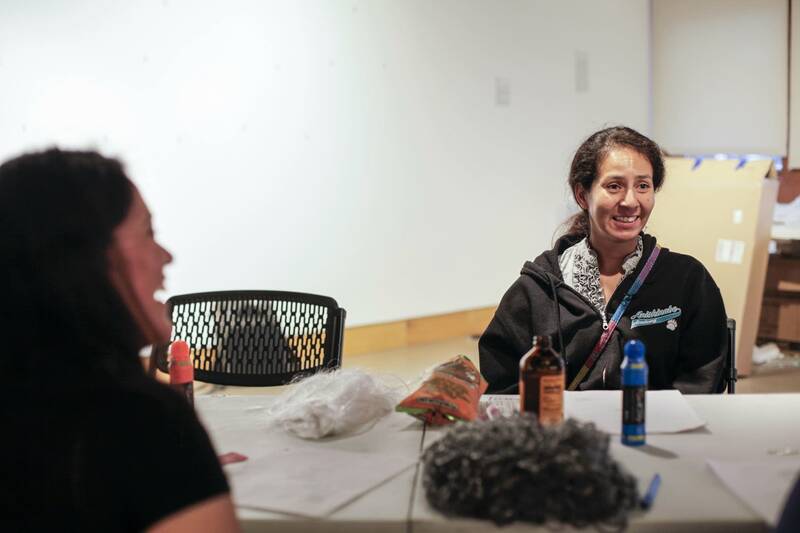 Yazzie was quick to stress that while she is creating theater for her community, it's not community theater. "It is beautiful, wonderful, hilarious, dramatic theater," she said, "and it just so happens that Native people are doing it, so it is going to come from our blood, and our imaginations and our experiences." 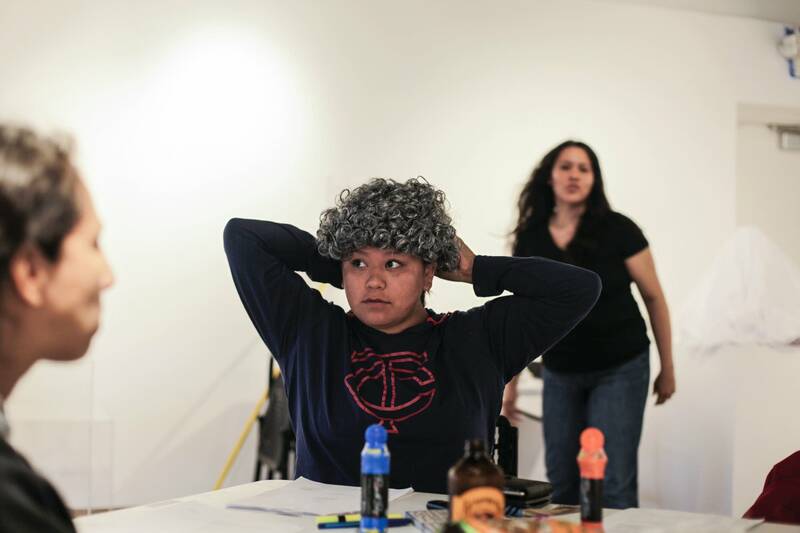 The National Native American Ten Minute Play Festival runs Wednesday through Saturday at Gremlin Theatre in St. Paul and on Sunday at the Minneapolis American Indian Center.